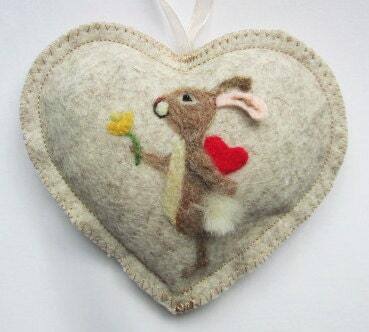 Easter Bunny or Mouse lavender scented felted egg decoration , needle felted mouse in an egg, felt decoration personalised with name. 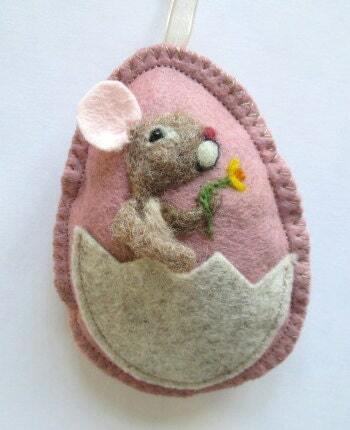 Sitting happily in an Easter egg with a daffodil is little mouse, needle felted onto vintage pink wool felt. If you would prefer a bunny that is fine. It comes ready to hang with an organza ribbon and a notlet pocket on the back unless you choose to have some words embroidered on the back. 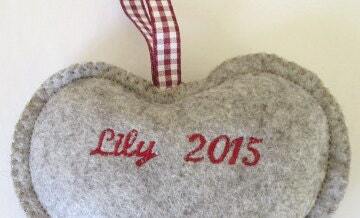 I am happy to embroider a name, date or short message on the back to make it a very special gift - please choose the number of letters with the personalize options drop down menu and add a message with your order as to which words /date you would like. 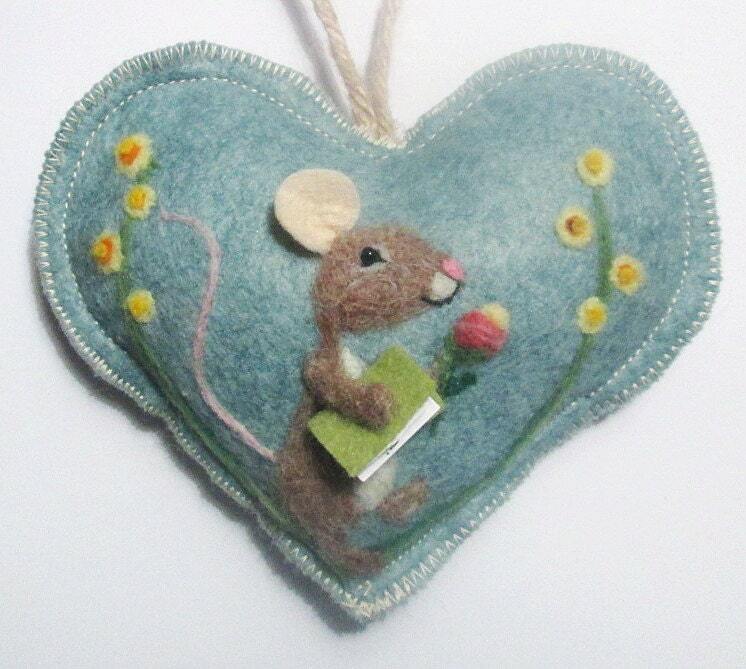 The design is needle felted with Somerset and Scottish wool and the mouse is in Full Relief -The ear and arm are all 3 dimensional making the heart attractive from many angles along. 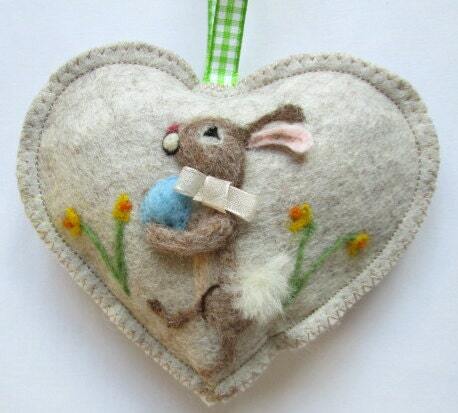 The ornament is scented with lavender or I can make it scent free. approximately 8 x 10 cm in size.